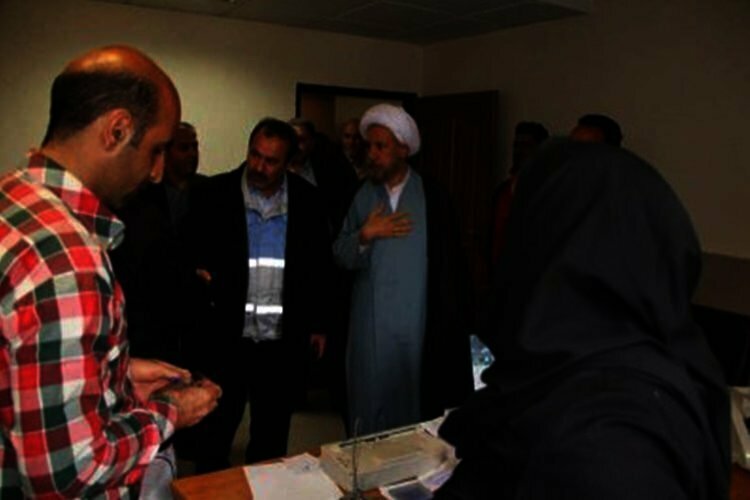 The head of Friday prayers in Shiraz said that he was cursed by the public while visiting sites that were ravaged by recent floods in the southern Iranian city. “While visiting flood stricken areas, we were met with anger from the people,” Lotfollah Dezhkam said in a Tuesday meeting with the Governor of Fars Province. His comments, which were published by the state-run IRNA News Agency today, have since been deleted from their website. “I was cursed a couple of times while visiting the flood stricken areas and I’m distraught,” the cleric said. He criticized the paving of a watercourse adjacent to the historic Quran Gate in Shiraz in the early 2000s for use as a road by the Shiraz municipality. “They took the watercourse and built on it. Why should there not be a flood? Why did the municipality build a boulevard which blocked the watercourse?” the representative of Iran’s Supreme Leader in Fars Province added. According to local and eyewitness reports, more than 150 people died when flash floods ravaged the Gate on March 25. “We have to see what the municipality has brought on to the people. When the municipality itself violates the boundaries of a dried out river, what do we expect from the people? I saw the violations of the municipality in two or three places myself,” Dezhkam said. The Friday prayer leader of the historic city of Shiraz went on to call officials “imbeciles” saying that the reason behind the floods and government incompetence was because “imbeciles make the decisions and imbeciles do not live up to their responsibilities”. “The people have a right to curse us,” he added. He said we'll get them fixed & then he left. Today, the President of the Iranian regime, Rouhani, visited the northern province of Golestan, which was hit worst by the floods. In a video published on social media, a woman angrily protests to a smiling Rouhani who only responds, “don’t worry”. بانوی مصیب دیده ازسیل : بدبختی و گرانی کم نبود…….کی میخاد جواب بده! But people are worried and angry as relief efforts are mostly being carried out by the public and not the government. In the town of Sarpole Zahab in the western province of Kermanshah which was hit by an earthquake more than a year ago, earthquake survivors were still living in trailers and tents before flood waters engulfed them, destroying what little they had. There is little hope that a regime that did not provide minimum facilities for earthquake survivors in one province more than a year after, will recompense the destruction that ravaged around 25 provinces in Iran.